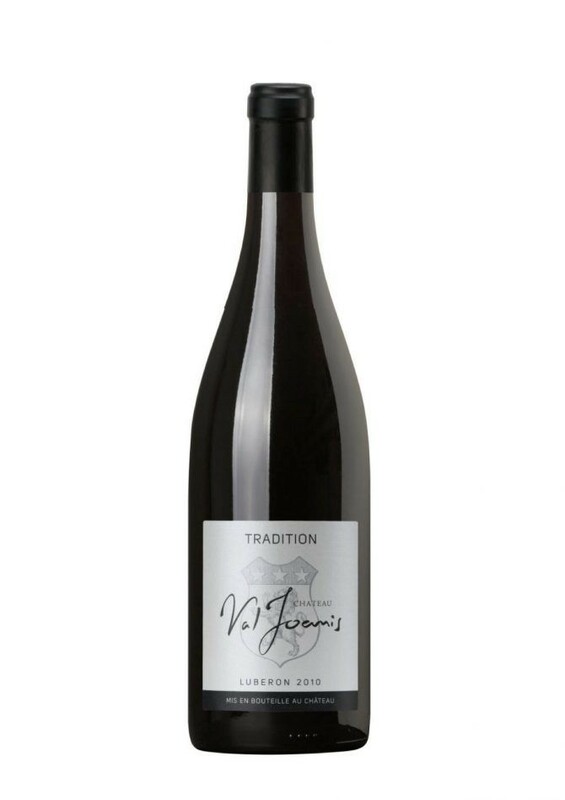 Château Val Joanis Tradition red is a well structured and balanced wine, supple and round with a deep purple colour. A slightly spiced wine with notes of blackcurrant and red berries. Offers a juicy core of dark licorice, plum and blackberry coulis flavours, maintaining good focus and tension through the finish. Syrah and Grenache.